Choosing the right pressure regulator is critical to your process. 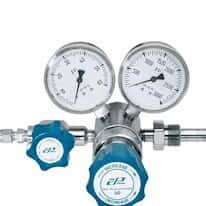 We offer gas pressure regulators for the laboratory and air pressure regulators for industrial applications. A gas regulator is an essential part of any laboratory. 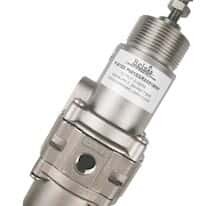 These regulators are available in single- and dual-stage models, high-purity gas regulators, and special-service regulators. An air pressure regulator is a vital part of applications where high-pressure fluid needs to be reduced or stabilized to a good pressure to make them safe. All of our air regulators will have an output range for you to choose from, and various input and output pressure connections.